Abbey Animal Hospital in Baltimore, Maryland provides vet care for your dogs, cats, puppies and kittens. We are located in Perry Hall on Belair Road. 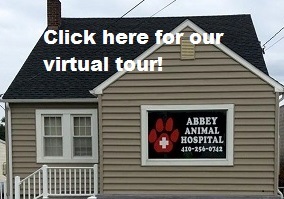 Abbey Animal Hospital is conveniently located at 8858 Belair Road in Baltimore, Maryland. Our vet hospital is in Perry Hall, near the intersection of Joppa Road and Belair Road. We are close to the Baltimore communities of White Marsh, Carney, Parkville and Nottingham. Maps & Directions. Dr. John (Jay) Kluttz, BVSC, a Baltimore native from Middle River, has been in practice since 2008. He initially completed his undergraduate Biology degree at St. Mary's College in southern Maryland, then moved down under to New Zealand to study veterinary medicine at Massey University. After graduating from vet school, Dr. Jay spent 4 years working as a mixed animal veterinarian in the picturesque New Zealand countryside, treating cows, sheep, dogs, cats and the occasional horse. He met his wife Sonia, a New Zealand native, and adopted 2 rescue cats (Claus and Alex). In 2012, the four of them returned to Baltimore to lay down roots, added a canine family member (Penny the rambunctious standard poodle), and Dr. Jay began exclusively treating small animals at a practice in Dundalk. 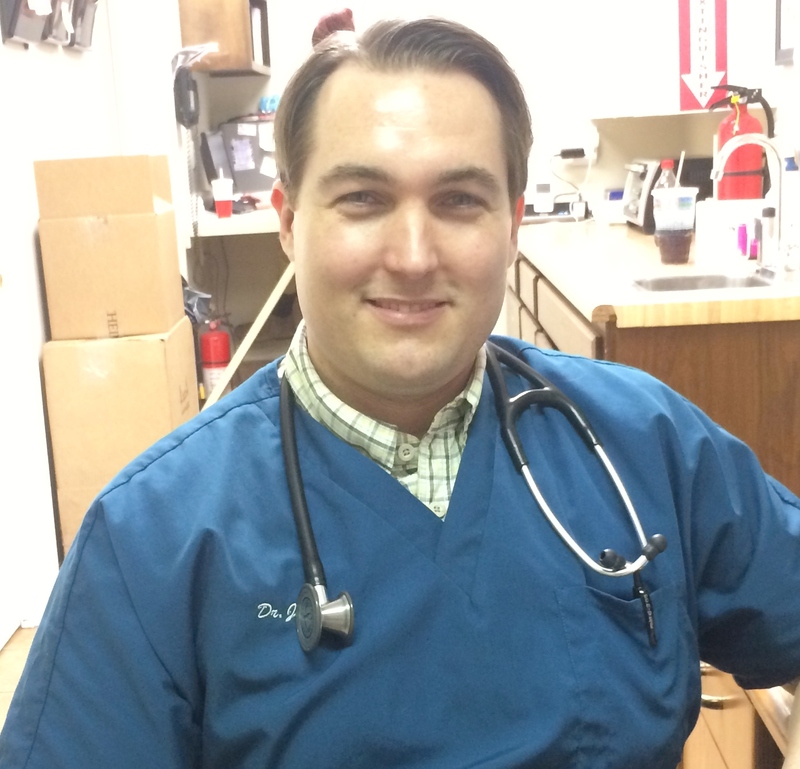 He joined the Abbey Animal Hospital team in November of 2015. He soon knew that he had found his home, and became the practice owner the next year. Dr. Jay is beloved by staff, clients, and patients, for his thoroughness and seemingly endless patience. When Dr. Jay is not tending to animals at the hospital, he enjoys working on classic cars, watching classic movies, and playing with Penny. The fall of 2018 marked a new chapter in Dr. Jay and his wife Sonia's lives as they welcomed their first child! Baltimore born and raised, Dr. Terry Maskol graduated from Towson High School. He did his undergraduate studies at the University of Maryland, and earned his veterinary degree from the University of Georgia (where he first met Dr. Jim Orrell). After graduating, he returned to Baltimore, where he has practiced small animal medicine for over 35 years. He and his wife, Cindy, live in Glen Arm and have been married since 1989. They share their home with 4 four-legged canine children (Coach, Piper, Annie, and Phil). Terry joined the Abbey Animal Hospital team in March of 2017, following the retirement of Dr. Jim Orrell. He was an instant hit with staff, clients, and patients, and helped us transition seamlessly. 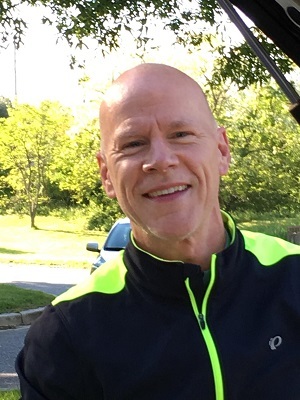 Terry is an avid bicyclist, and a member of Baltimore Bicycling Club. He also enjoys gardening, Marx Brothers movies (Cindy does not), and has a love-hate relationship with British cars! Jenny was born in northern Illinois, and relocated to Mayland with her family in 1995. Although she was only 11 years old when she moved, the midwest still often comes out when she speaks. Starting at age 14, she has worked in the veterinary field as a kennel attendant, receptionist, technician, and now manager. Jenny graduated from Bel Air High School, and went on to study a dual degree program at Towson University. She received both her Bachelors Degree in Psychology and Bachelors Degree in Animal Behavior in 2007. In 2008 Jenny ventured to the pet retail industry as a manager for PetSmart. She brought unique perspective, as well as knowledge on companion animal nutrition, when she returned to the veterinary field and joined Abbey Animal Hospital in 2015. When not at work, Jenny can usually be found spending time with her husband Brian, their daughter Austen, and their 6 cats (Jimmy, Tommy Tucker, Calvin, Bixby, Reno, and Tempe). Jenny also has a passion for cat rescue, and volunteers for Girl Scouts of Central Maryland. Nicole, a Maryland native, comes from a large family and is one of 6 siblings. Nicole completed her Veterinary Assistant Certification at Harford Technical High School in 2003 (and was State Secretary of the FFA). She soon found her calling in the field of veterinary medicine. She has worked nearly every position in a veterinary hospital, including kennel attendant, receptionist, technician, and manager. Nicole is passionate about learning, and has continued college coursework over the years with a major in English. Nicole joined the Abbey Animal Hospital team in May of 2018. She is a natural teacher and leader who excels at client education and staff training. She shares her home with her husband Steve, and their dog Savannah. When not at work, Nicole can often be found reading, spending time with family, baking, or watching movies (her favorite is The Muppet Movie).